Last weekend I had the spur of the moment opportunity to go watch For Greater Glory. My friends and I caught a last showing of the movie that required us to drive like 30 miles from where we were at. I had heard great things about the movie when it first came out, but due to my schedule, it’s been really hard to go watch it with fellow Catholics. But! By God’s will and my sense of adventure, I was able to see it! Missed the first ten minutes but that’s okay! I don’t want to give the details of the story away…but man. What a great movie. After watching it, I have a better idea of the sort of things that Catholics in Mexico had to deal with in the early 1900s. Quite honestly, it is terrible that their own government would actively persecute Catholics and prevent them from exercising their religious liberty…to the point of outright killing them. Given the current social, political, and religious climate that we’re in right n now, the release of this movie could not have been more timely. While I don’t expect the United States to sink low enough to start killing us for being Catholic, our government sure is making it difficult for us to exercise our beliefs freely by forcing us to go against our conscience. I won’t spend the time commenting on all that in this blog post and besides, I think you can find more eloquent and compelling commentary elsewhere. But, I just to have to say… For Greater Glory inspires me. Am I willing to stand up for religious freedom, even staring death in the face if necessary? My answer approaches “yes.” But I’m discerning the best approach. There are reasons why there are a good handful of Cristeros who are on the road to be canonized or have been canonized already. For Greater Glory highlights some of them, especially in the credits. 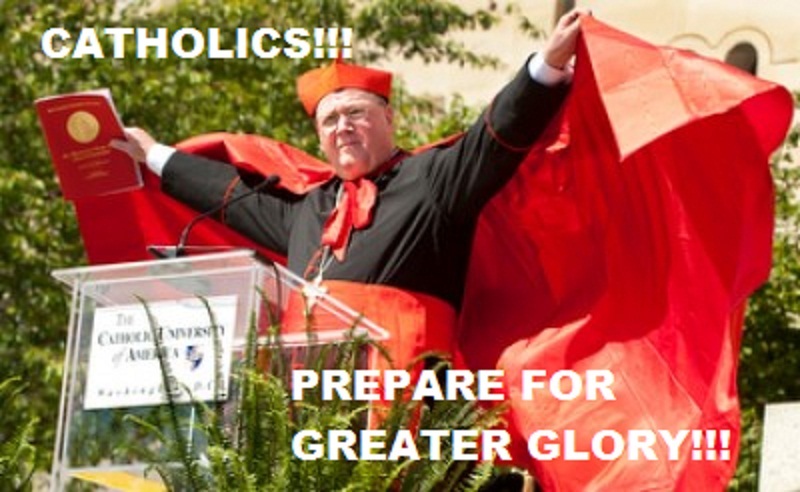 I think every Catholic should watch For Greater Glory. Do we ask ourselves enough the question: what is the price of freedom? It’s a good movie. We have a legit cause to fight for. Faith. Hope. Charity. Religious liberty.